We began in the 40's with a "better idea." Since 1946, we've built our reputation on superior customer care and constant innovation. Based in the U.S., Dare manufactures and distributes quality products nationally and internationally to wholesalers, Co-ops and retail buying groups. Dare Products can also be found online through many of our web-based dealers. 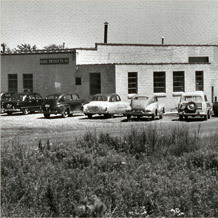 (Above) Dare Products Inc. at our 1950s office. 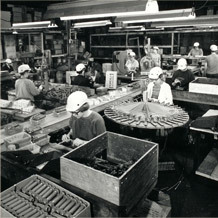 (Below) Workers assemble in our manufacturing facility - Battle Creek, MI.